What is the optimal length for single-incision tape? The aim of this study was to assess the length of adjustable single-incision midurethral tape (SIMS; Ajust), which is needed to fix this tape to the obturator membrane. From these data, we can deduce the optimal length of the SIMS. 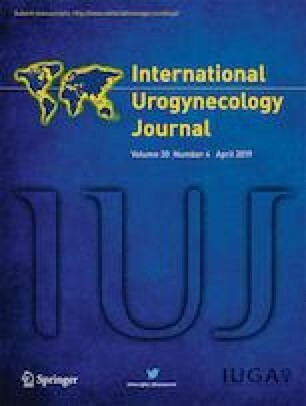 For this study, we employed the intra-operative data of patients included in a single-center randomized trial comparing the efficacy of Tension free vaginal tape obturator (TVT-O) and Ajust. The length of the Ajust tape was calculated using the formula: total length of the tape minus the length of the stylet used for the tape lock, minus the length of the lock minus the width of the two anchors. The length of the obturator tape was calculated using the formula: total tape length minus the snipped parts of the tape. The correlation coefficient of the tape length to basic biometric parameters, such as height, weight, and body mass index, was calculated. For this study, data from 50 women from each group, TVT-O and Ajust, were used. The mean length of the Ajust tape inside the body is 11.6 cm (SD 0.9), with a minimum length of 9.6 cm and a maximum length of 14.6 cm. The mean length of TVT-O tape inside the body is 20.3 cm (SD 2.1), with a minimum of 14.8 cm and a maximum length of 24.5 cm. This study demonstrates that to achieve continence it is necessary to use different lengths of single-incision tape. Inappropriate SIMS length could cause failure related to the tape itself and not to the TVT technique. This work was supported by Charles University in Prague (UNCE 204024). A. Martan is a preceptor for Meditrade. None of the other authors has any conflicts of interest to declare.